I absolutely love New York City! The vibe and the electric atmosphere always make me feel excited as there is so much to see and do. Whenever I visit I get the opportunity to spend time with family & friends and also indulge my shopping addiction. On a recent visit, I came across the Alex and Ani Jewellery Brand. One of the main reasons why I was drawn to their pieces is because of the positive messages and also their corporate social responsibility. Each piece has a positive message and depending on which piece(s) you purchase, you can also support any number of different charities. They currently support 48 different Charities from Alex’s Lemonade Stand to Woman & Infants Hospital. This is done not only through retail sales but also through donations and also employee volunteer programs. At present, I have 3 Rafaelian Gold Charm Bangles each of which resonate with me on a personal and spiritual level. Depending on how I’m feeling I may layer them and wear them all together or I may wear them individually. The hummingbird charm is my favourite as I also have a Hummingbird tattoo. Hummingbirds are a symbol of peace and also represent overcoming difficult times & Freedom. They are also associated with continuity, healing, persistence, tenacity and the pursuit of one’s dreams. Hummingbirds have the ability to fly backwards. This teaches us that we can look at our past but we shouldn’t dwell on it. We should move forward savouring each moment which helps us to appreciate the things we love. Jewellery has the power to make the wearer feel special. 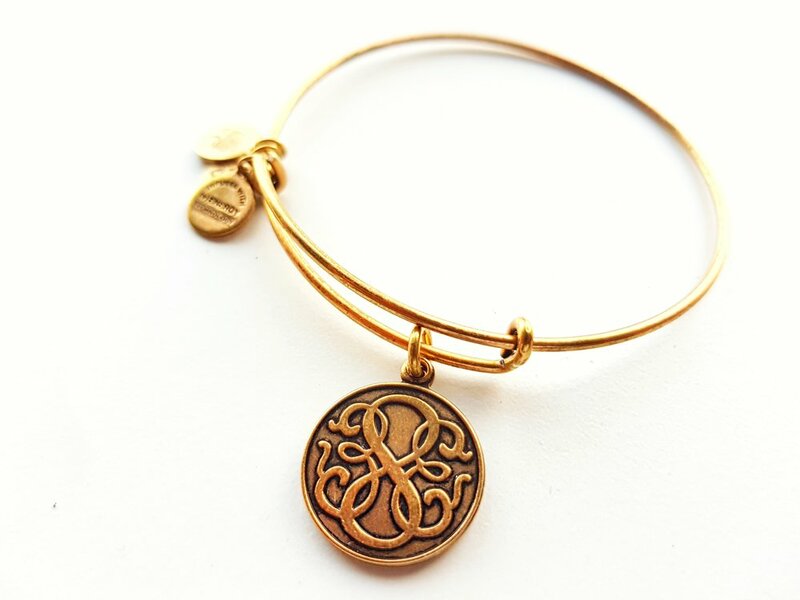 The added bonus is that buying a piece from Alex And Ani can also do something special for someone in need. We can all do our part to help and support these good causes. Which charitable cause are you going to support?